John Mayer’s latest single shows off a hint of new sound for Mayer, while still staying true to his typical chill acoustic vibe. The song immediately gives off a tempo reminiscent of country music, but it is still easy on the ear for non-country music fans. 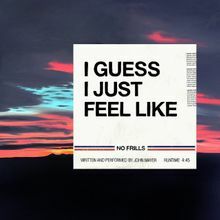 “I Guess I Just Feel Like” is a new must for everyone’s chill playlists. Mayers’ truthful and raw lyrics made me feel emotions I wasn’t expecting to feel. He sings about his frustrations with society and the world, saying that “good things are gone,” and “the weight” of his worries are too much to handle, both subjects that I’d like to see more artists touch on. Mayer, closing with a powerful guitar solo, expresses his frustrated emotions without the need for lyrics. The soft but powerful beat throughout the meaningful and raw song make the perfect combination to become a new favorite of mine. Right off the bat, I was unimpressed by the strange piano synth mixed with the electronic tones of Offset and Cardi B’s latest collaboration “Clout.” Offset’s flow doesn’t pair well with the unusual instrumental of the song, making it a difficult listen. While I don’t mind when artists brag about their wealth, it’s getting to be overdone from Cardi B, and I constantly find myself hoping for new subject matter in her songs. The boring and repetitive chorus is almost worse than the verses themselves, making me almost incapable of making it through the entirety of the song. 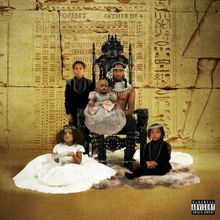 While Cardi’s flow was better than Offset, it still seemed out of place with the abnormal tempo of the song. Though I appreciate their attempt to find a different beat than their typical electronic hype of modern rap music, “Clout” didn’t fulfill what I was looking for from the artists. It was no surprise getting another powerful and inspirational song from P!nk, but she managed to make the song original and authentic. The simple up-tempo beat complimented her impressive vocal range with a simple balance of sound. Her lyrics express not wanting to be alone with all of the pain she’s experiencing. I have nothing but respect for artists that can be real with their listeners and give them something to relate to, which is exactly what I got from P!nk. Though the lyrics were more deep and meaningful, the song was overall a feel-good vibe that makes me want to go on a drive, turn up the volume as loud as it goes, and belt this song with the windows rolled down. P!nk never fails to impress me with her stand out vocals that consistently give me chills and a feeling different from any other artist. 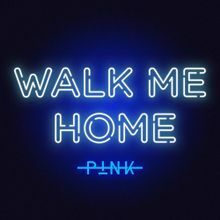 “Walk Me Home” did exactly what any single should do — leaving me eagerly waiting for the album to go along with it.